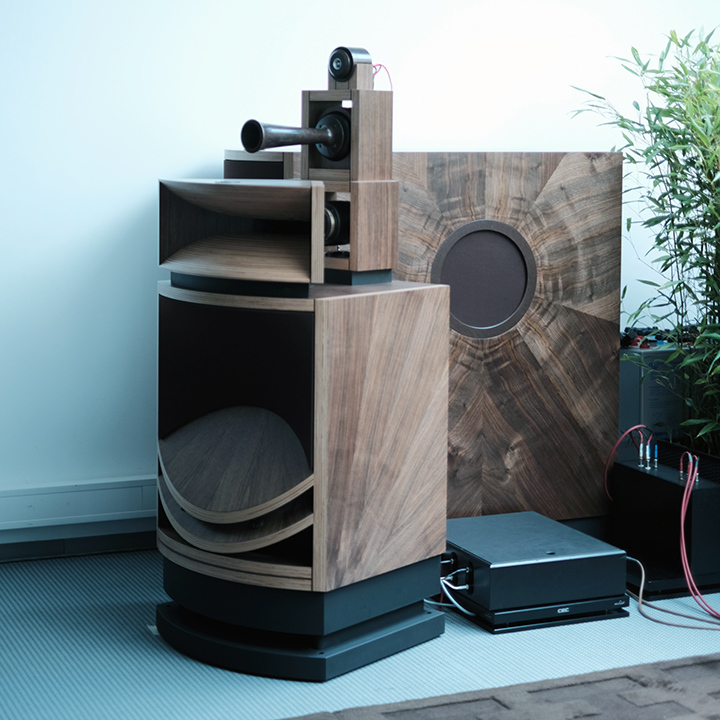 Avantgarde’s show at Munich is always something of an event, as it gives the company the chance to show off its Trio loudspeakers with a three-tall stack of Basshorns, all driven by its XA amplification. This year, this became an occasional PA rig for a drummer that I missed, but as I walked in the company was playing Rammstein at ear-levels. Of note this year, the Trio frame is now available in ‘shiny’. Not chrome-plated aluminium: solid bars of steel polished to a mirror finish. This adds about a quarter again to the already substantial weight and price of the Trio! I’m not sure how to categorise the new Lynx from Estelon. 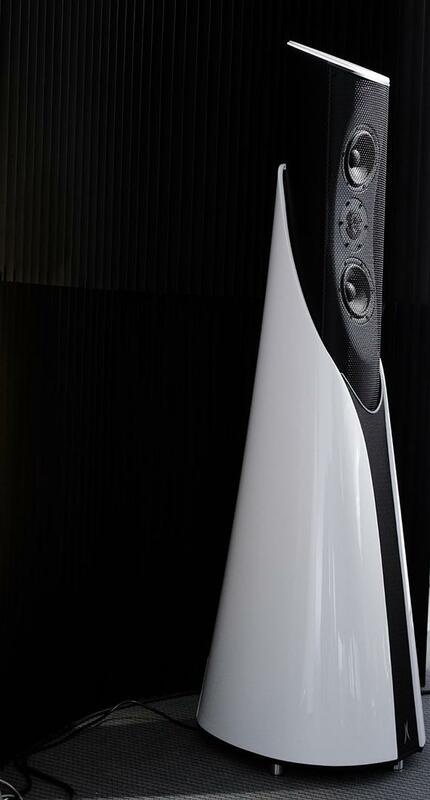 The €50,000 towers are fully active, include built-in DACs and wireless connectivity to be driven by a range of sources from phones on up, and they feature the motorised main baffle designed to align the speaker with the room (as seen on the company’s flagship loudspeaker, the Extreme). Estelon itself calls this the first in a range of Intelligent Speakers, a true plug and play device. And that was how the demonstration played out. This was an impressive idea, with an impressive execution, and an impressive demonstration, too. Unless you count the new waxed bronze details and the European walnut veneer, there was nothing intrinsically new about the Living Voice Vox Palladian horn/Vox Palladian Basso bass horn demonstration, but once again it was the quality of the presentation that kept people enrapt. It was a hot glass box full of people listening to music, in a place where there were a lot of hot glass boxes part-full of people listening to a collection of sounds. Consistency of presentation is difficult to achieve, especially from year to year but the combination of Origine source, Kondo amplification, and Living Voice horn loudspeakers seems to achieve it. I’d love to say effortlessly, but I think that the effort involved is reason they achieve such consistency. To my mind, the best sound of the show came from a system comprising open-reel tape and streaming into Alluxity amplification into a pair of Joseph Audio Pearl 3. Jeff Joseph had a pre-release, off the desk version of the latest Sgt. Pepper reissue on hard drive, and Dean Martin on UltraTape. Forget ‘all else was gaslight’. All else was drab! I’m calling this out not because of the quality of the sound, the €200k Enigma Veyron EV-4D loudspeakers or the rest of the system used, but just for the sheer effort involved in dressing a room with such professionalism. I’m not sure large framed power cords or grass on the walls is my idea of top-line décor, but absolutely full marks for giving it 100%!